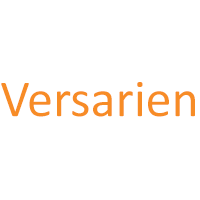 Versarien plc (LON: VRS), the advanced materials engineering group, has today provided an update on the Company’s activities in the United States of America. Versarien has recently established a new US corporate entity, Versarien Graphene Inc, to facilitate the Company’s graphene and other 2D materials activities in the USA. The Company is additionally in the process of establishing a new office, laboratory facility and applications centre in Houston, Texas that will act as a hub for the Company’s activities in North America. Patrick Abbott has been appointed as Versarien’s Vice President North American Operations to oversee these activities and he will be based at the Company’s Houston facility once established. Patrick is an experienced speciality materials professional with over 20 years’ experience in the sector. He is a former US Marine Corps Officer who spent over 16 years in a variety of global business development and marketing roles at BASF. In 2015 and 2016, Patrick was part of the team transitioning specific product lines to Huntsman Corporation. Subsequently he established Global Marketing Empire Solutions, a disruptive technology consulting company and joined XG Sciences, a company focussed on graphene nano technology, as their global sales manager. At XG Sciences he was tasked with assisting the executive team in transitioning the company from an academic company to full commercialisation. The establishment of this US presence follows on from work that Versarien has been undertaking with the US National Graphene Association and various collaboration partners in the region. 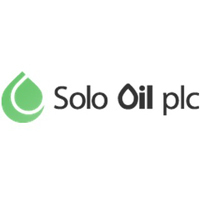 Further North American potential collaboration partners and customers have been identified, both through inbound enquires and proactive approaches, and it is intended that the Houston facility and additional resource will enable these to be more efficiently progressed. The Company is pleased to be participating in the UK Government organised “UK Technology and Capability Showcase” being held at Collins Aerospace in Charlotte, North Carolina, on 25 March 2019 where the Company will be presenting its 2D materials technology to Collins Aerospace representatives. The Company additionally looks forward to being a leading participant in the American Graphene Summit, being hosted by the National Graphene Association (NGA) in Washington DC on 21 and 22 May 2019. The summit, keynoted by Senator Roger Wicker, intends to bring together leaders of US industry and government agencies and key international figures in the graphene sector to engage in a dialogue on shaping the global architecture surrounding graphene technologies and its impact on the US and global economy. “We are very pleased to be moving to the next stage of our development in the US with the establishment of Versarien Graphene Inc and a dedicated facility in Houston. “We are already pursuing a number of substantial opportunities in the US, particularly through the support of the National Graphene Association, and I expect our level of activity to significantly increase in the coming months, particularly given the high number of enquires we have had for the supply of our graphene and other 2D materials from leading US companies. “I would like to express my sincere thanks to the support and assistance we have received from the National Graphene Association and Senator Wicker to develop our business and network in the US. “I am also particularly pleased we have secured the services of Patrick Abbott and I would like to formally welcome him to the Versarien team. His skills and experience will be invaluable as we look to build more relationships and commercialise graphene enhanced products with US companies.